Success in business isn't built by working alone. If you want to get ahead, you'll need to build new relationships and expand your network. Shockingly, one of the best places to do this is at the bar. 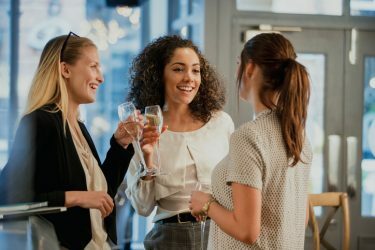 Whether you find yourself at a networking event at a restaurant or you happen to wander into a bar during happy hour, these tips will help you make some good connections. Whether or not you're drinking, it's always a good idea to make sure that you position yourself near the bar. If you position yourself close to all of the action, you can easily strike up a conversation as people place their drink orders. If your goal is to meet people concerning your career or for business purposes, hold back on the drinking. While it's okay to have a drink or two, remember that you're trying to chat with strangers about work activities. You need to be focused and too many cocktails can take you off your game. At most, you should secure a business card or a contact phone number for your new acquaintance. Don't expect to get hired for a job or strike a business deal the same night. Sometimes the consumption of too much alcohol can inflate expectations. Give it a few days to sink in! Let's face it. No one likes a social climber. If people see that you're trying to work the room, they'll probably decide that you're someone that's not worth knowing. Remember, you’re not a politician and this isn’t a re-election campaign. Instead of trying to meet everyone, zero in on a few people who pique your interest for whatever reason. You can also work on becoming a regular at the bar so that you can meet more people gradually. That way you won’t feel pressured to try to meet as many people as possible in one night. Let the other person speak to you more than you speak to them. Make sure to ask thoughtful questions. Instead of the usual “So, what do you do?” ask about their hobbies and interests. Not only will they remember having an enjoyable conversation with you, they'll also feel great about the fact that you really wanted to get to know them. Even if the person you meet can't help you directly, keep in mind that someone in their network might be able to. You can find out who they know later by checking out their social media accounts and following up. Think carefully about why these new acquaintances might want to meet you in the first place. You only have a short time to make a good first impression so think about how you might respond to basic questions about yourself and your professional life. 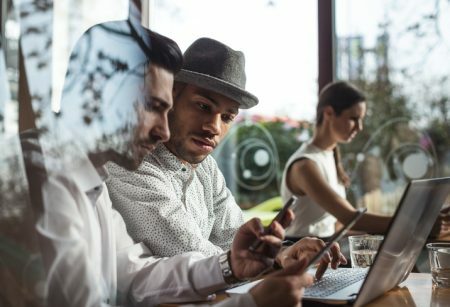 If want to network, you should always be ready. Have business cards available or send your e-card if your new acquaintance asks for your contact information. Make sure that you’re dressed appropriately for the scene, have gum available, and freshen up.